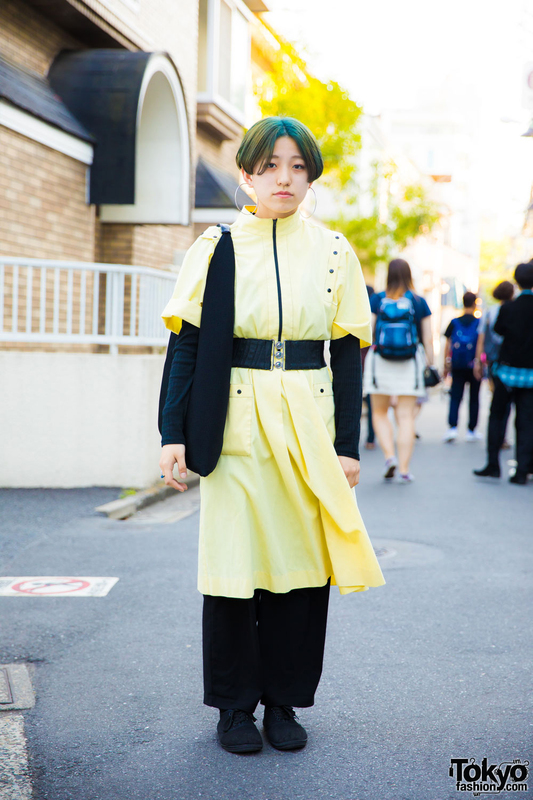 Harajuku girl wearing a t-shirt with large drop arm hole, wide leg brown pants, platform shoes, silver o-ring belt, and a gold bangle. Harajuku high school student in punk inspired fashion wearing a denim vest with patches, cropped skinny pants, sweatshirt, gold creepers, statement sunglasses and silver jewelry. Harajuku beauty school student in black and white fashion with blazer, side zip denim pants, black leather boots, sunglasses, silver bangle and pinkie ring.